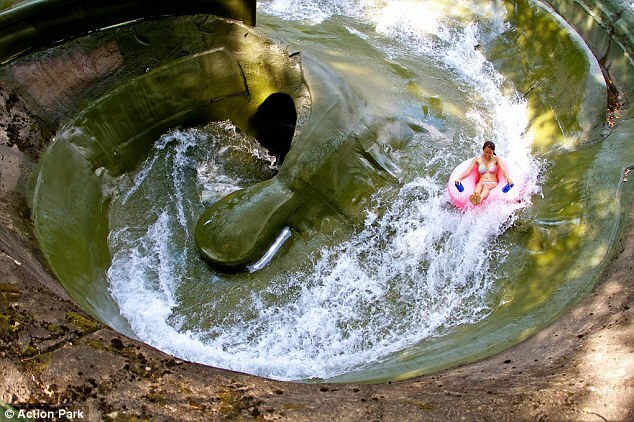 Action park was labelled the “Most Insane Amusement Park Ever”, in a 2013 YouTube video that went viral. It was responsible for six deaths, which included one electrocution on a kayak ride, one drowning in a wave pool and one heart attack from ice cold water. It was also the cause of hundreds of injuries, and at one point an estimated 5 – 10 injuries were sustained at the water park daily. However this did not just include a scape of the elbow or other bodily areas – that was to be expected if you went on any ride at Action Park. It became nicknamed Traction park because of the endless injuries sustained whilst enjoying the rides and activities. Bumping heads was extremely common and people stated that the pools were too shallow for diving. It harboured rides like the Alpen Slide, which was a concrete track built into a hill which you travelled down in a car controlled only by a hand brake…. Yes, this is as dangerous as it sounds. One former attendee described how her car had no brakes, which caused her to fly over the side where she was then forced to walk the whole way down crying and dripping blood. It originally closed amid media criticisms and numerous lawsuits in 1996. However, visitors loved the 35-acre theme park and the overall consensus was that it was a phenomenal place, with many saying they can not wait to go back. Those who have visited the new and improved park have said that despite the modifications made to comply with health and safety, the rides were just as thrilling and hair-raising as they used to be. The park was reopened by Andy Mulvhill, the son of it’s former owner. He was inspired after seeing the video “Most Insane Amusement Park Ever.” However he insists that all injuries are in the past and will not occur again. Visitors can now buy “I Survived Action Park” t-shirts, and adults are allowed to drink alcohol during their day. From what it seems, lawlessness still lingers in the park’s foundation, however Mulvhill stated: “The world’s changed. I refuse to be involved in any rides where anybody can get hurt.” Only time will tell if Action Park will face yet another string of lawsuits for unsafe rides and personal injury. ← Are You Dying At Your Desk?